Founders and Directors of world-renowned Nosara Yoga Institute on the Pacific coast of Costa Rica are respected Amba and Brahmanand. 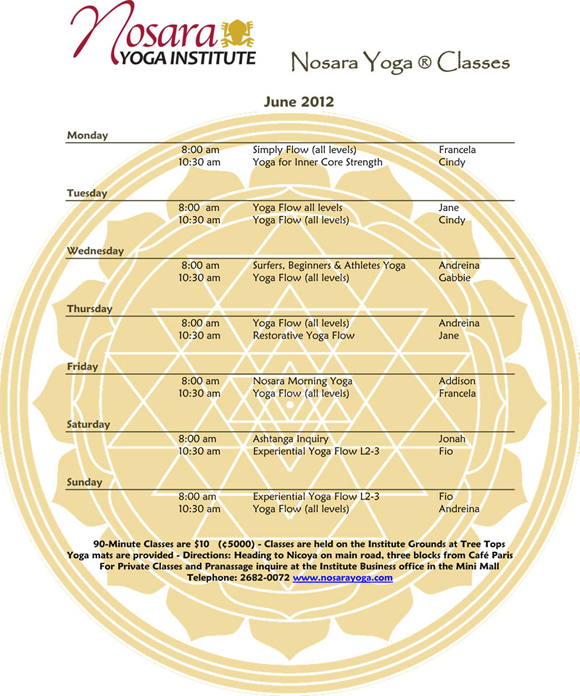 Nosara Yoga institute is one of the most famous yoga learning centers in the world. This well reputed institute is internationally recognized for its professional career training in yoga education. Very few places on the planet are as good as Nosara for a rejuvenating, life transforming experience of learning and practicing yoga. Now let’s focus on Yoga Courses the offer. The 200-hour Interdisciplinary Yoga Teacher Training: This 200-hour training helps you to explore the common aspects of all yoga traditions which will enable you to find your unique expression and style of yoga. This will help you to develop a teaching approach aligned with your aim and life purpose. The 100-hour Self-Awakening Yoga® Therapeutics Teacher Training: Self-Awakening Yoga by Don is an excellent resource on the topics like the movement inquiries, theory and philosophy. This course is based on the basic concept of this book. This course will train you to help students with physical limitations. 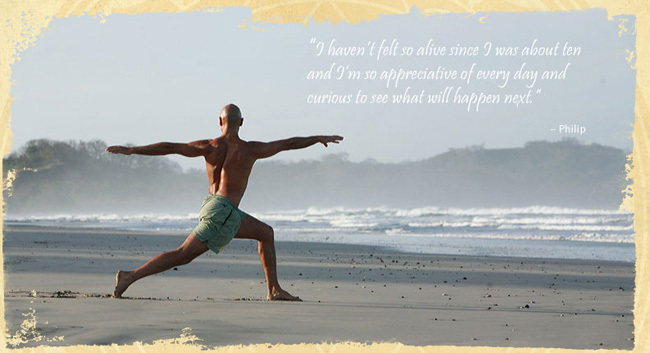 To develop a better understanding of Kundalini Yoga, this is one pf the best courses in Costa Rica. The 100-hour Inner Quest for The Yoga Educator: This training is the integrative module required for Professional Level Certification. This program refines your listening skills and ability to respond to your students without just giving advice. We learn to Say Back, what we are hearing in such a way as to stimulate the discovery from within. The role as yoga teacher that we are developing in this module, we are calling the Yoga Guide. The 100-hour Pranassage Practitioner Training: This course provides you with a methodology for one-on-one yoga sessions that awaken greater awareness in your student/clients of all ages and experience levels to the profound role that relaxation plays in yoga. The 100-hour HeartRise Children’s Yoga Training: Take your personal yoga practice to a new level of playfulness as you immerse yourself in a climate of individualized, experiential learning. The tools, techniques, resources and confidence you gain will help you offer children and teens experiences that connect them with innate wisdom. The 100-hour NYI Let Your Yoga Dance Teacher Training: A dynamic experience of inner rhythm and expressive movement, Yoga Dance traces its roots to the free flow of yoga postures in Kripalu Yoga known as meditation-in-motion. Based on the chakras and the energy inherent in each, this training teaches you to open and flow with your innate joyfulness. The 100-hour Experiential Anatomy for the Multi-Dimensional Being®: This course is designed to help you acquire a deeper knowledge of the body by studying both the objective, scientific aspects of anatomy, as well as exploring the subjective, experiential elements. We will use mediums such as experiential movement, palpation, art and awareness through internal scanning as we learn how to integrate anatomy with various yoga practices. The 500-1000 hour Professional Teaching Certification: This course is awarded upon completion of a Yoga Alliance approved 200-hour Certification, plus three 100-hour NYI modules and 100 hours of logged teaching experience. Please call or email for more information. Let’s see what they are offering as Public Yoga Classes. Now let’s find the Upcoming Retreats. Nosara Yoga Institute frequently hosts retreats offered by highly recommended yoga guides on their beautiful natural campus in Costa Rica. These vacation retreats provide yoga enthusiasts with the ability to enjoy and develop their practice surrounded by the magic of lush jungle and beach. Some of the retreats also qualify for continuing education credit hours with the Yoga Alliance; however, the retreats are not affiliated with the NYI’s professional teacher trainings or applicable for NYI’s 500-hr Level Certification.